The Walking Dead season 8 finale is coming up on AMC Sunday night, and we know already that there are going to be constant articles out there about who could die and why they could die. Yet, we’re going to make a pretty simple case here: As much as it may be easy to predict that characters should die, it really doesn’t matter. Deaths create a big “shock” moment and remind you that nobody is safe, but beyond that they don’t really do a whole lot. The death of Carl feels especially needless, really to the point right now where there are many out there trying to find a way to spin it as necessary to Rick’s development. 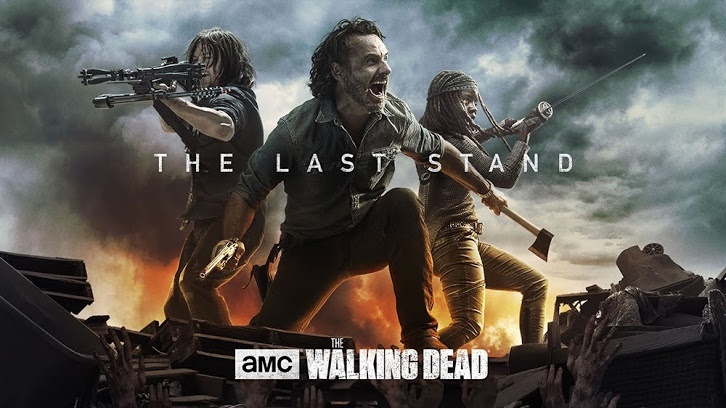 Given that the ratings have slipped for the series ever since the death of Carl, at this point it feels clear that the last thing that The Walking Dead needs is more death. That’s not going to improve the numbers or get people talking. Despite it being such a dreary show, the one thing that The Walking Dead needs more so than anything else is hope. There needs to be some sort of tangible evidence that life for some of these characters are going to be better off. This may be a controversial opinion at this point, but we don’t need The Walking Dead as a TV show to be identical to the comics. It could thematically shift and lead into an ending and we wouldn’t care at all. That’s the big difference between the two mediums — the comics could go on for another couple of decades whereas the show could end within a year or two. There needs to be a stronger sense of finality on the series, especially in terms of giving us an opportunity to understand and care about some of these people a little bit more. For the show itself, there needs to be some sort of glimmer at this point that the struggle matters and there’s peace on the other side of the all-out war. Sure, there will always be problems just like there could always be walkers. Yet, is there a time when most of these zombies will be contained and society can start to resume? Even the slightest bit of hope at this point can go along way … especially when it comes to hitting us right in the feels. All a death is going to do at this point is simply remind us of how numb we are to most of it at this point. What do you think is going to be coming up on The Walking Dead season 8 finale, and do you think it would better for the series to not emphasize death so heavily? Share below!